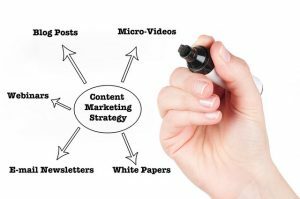 Since a component of content marketing campaigns, companies or businesses generally make use of white paper marketing to offer a further comprehensive look at a definite part of their trade. White papers are an extended form of content that involve unique or accumulated study to provide with trend approaches or best practices. White paper marketing has become an optimistic part of plans targeted at setting up a business like a niche power within a chosen industry, and it is also quoted like successful for SEO and lead generation. Do not worry, as AneWragg is here to accomplish all your Whitepaper marketing goals. The text in white papers is characteristically amid 1,000 and 10,000 words and studies a trend inside a company, product or service’s worth to diverse companies. They are normally research-based and need high-class writing that stabilizes industry information with product solutions, as creating Whitepapers account that 76% of white paper readers are searching for education and 78% quote nominal marketing like an indication of the best white paper. If you are a niche specialist, then you may always create as well as publish white paper on your own website. This is the one of the most general forms of publishing a white paper. Appointing a specialist like AneWragg to create or team up on your part is one more general technique. Though, you ultimately obtain the content enclosed would need to be depending on your individual requirements and budget. Anewragg is specialized in creating business white paper, automation white paper, as well as assist in white paper promotion. One of the key causes organizations put efforts to employ white papers in their content tactics is that they do not understand where this marketing stuff comes under the sales funnel. White papers are characteristically either marketed like a top-funnel product that is intended to bring in traffic or a bottom-funnel tool made to lock deals. Generally, organizations quit when the white paper does not succeed in accomplishing any of these tasks. White papers are normally known as mid-funnel content. They are hardly ever viral gold, and they do not close on top of your sales team, but they are still significant. The aim of mid-funnel content is to instruct people regarding your product and confirm to audiences that you are a specialist in your niche. Your effective infographic may have brought viewers to your website, but your white paper would make them wish to stay. By concentrating on mid-funnel content factors like bringing in return viewers again to your site and retaining them on your pages for more time, you may make targets to evaluate the accomplishment of your white paper that are successfully associated with your sales procedure. You don’t need to be a white paper specialist to make one. We have created lots of white papers for a diversity of niches and created successful white paper strategy all over them. Let us find out how we may assist you in developing the content that brings out target client close to you.